This cider is a refreshing combination of raspberry juice and apple cider. Best enjoyed chilled, this cider captures the autumn harvest. Farming 370 acres at Three Bridges Farm since 1917, three generations of the Sheppy family have weathered the ups and downs of farming and cidermaking. 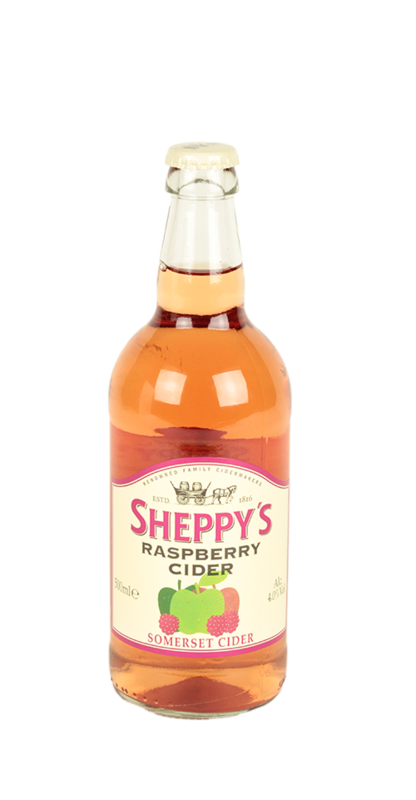 As craftsmen cidermakers, quality is central to all Sheppy’s ciders, which are produced from local and home-grown apples.